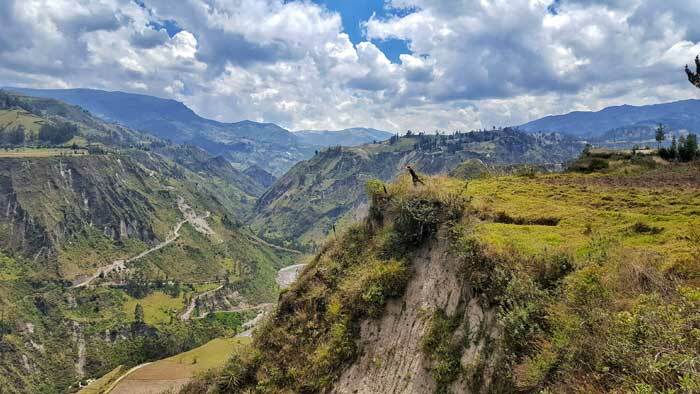 The Quilotoa Loop was my first and only multi-day trek in Ecuador and it was different from all the multi-day treks I did before. For starters, you don’t need a tent or any camping equipment, including cooking tools. The loop brings you through different small towns with a couple of hostels each, complete with showers, food and some with wifi! These hostels were the first hostels in my entire travel life that included breakfast AND dinner (at USD $15!!!). With that said, the trek felt more like multiple day-hikes instead of a multi-day trek. I’m not complaining. Secondly, it was the first multi-day trek I did alone, without a guide or group mates. 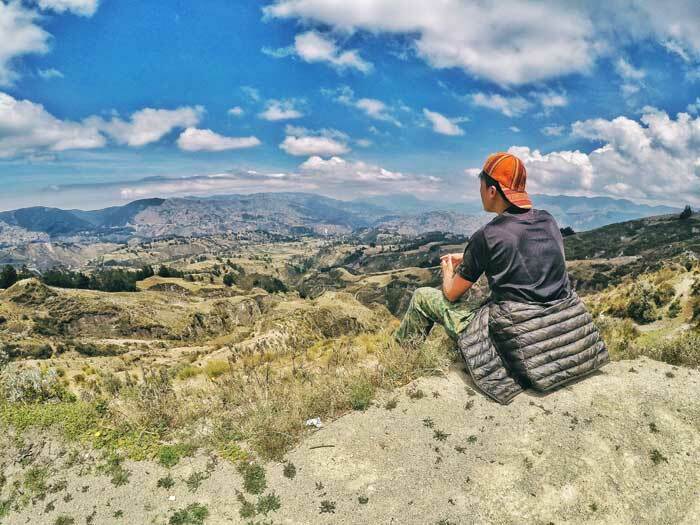 The Quilotoa Loop is a self-guided trek (even though it is so easy to get lost) and easy enough without needing to carry camping equipment. However, because of the dinner time in the hostels, it is extremely easy to make friends. 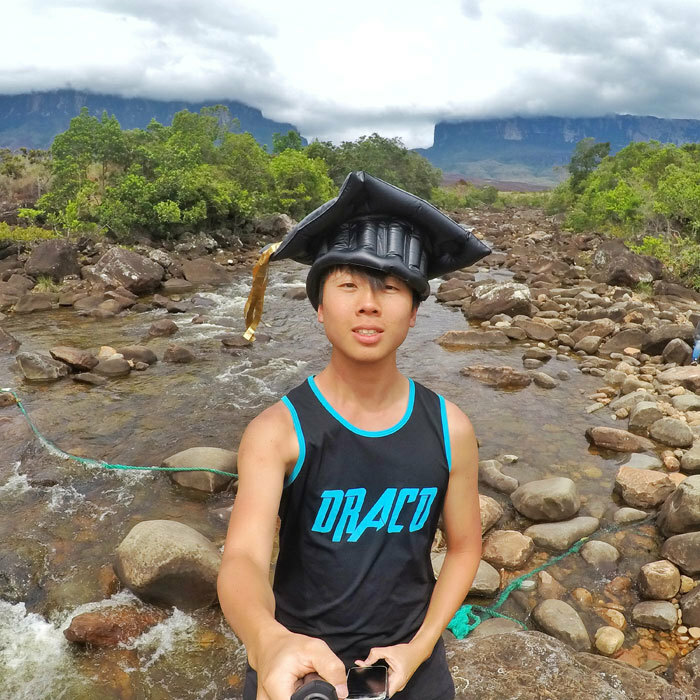 The 4 trekkers I met on the first day who all went the wrong path became my unofficial groupmates, including a couple who travelled one year spending only USD $5000. Two more unprepared (but ridiculously fit) young men joined us later that night and the 7 of us hung out every night during the trek. And finally, I hardly did any research on this trek. I truly winged it. In fact, each night at the hostels, I was reading up on the next day’s route, trying to get an idea on what I was gonna face each new day. And that was how I started my trek – with minimal knowledge on what to do. I took the bus from Latacunga to Sigchos and got off before anyone else. Oops. I walked blindly in the town, relying on my GPS and unclear road signs, and somehow miraculously made it onto the right trailhead. The first part of the trek was a lot of walking on actual tarred roads where buses and pickup trucks dominate. Locals standing on the back of the pickup trucks offered a ride but I politely declined. I’m here to walk the whole loop, not to finish it fast. Also, they ask for money. To the locals, it’s a funny sight to see these tourists walking from town to town when they could just take a bus. 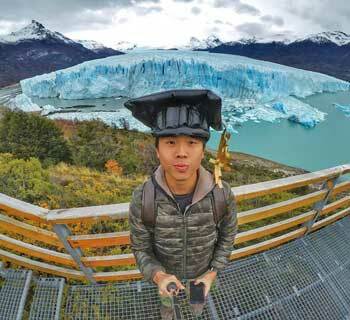 But hey, I’m a broke backpacker, hah! Scattered houses on the mountainside, wide greenery everywhere and a river that flowed beside the route became my company for the three days. 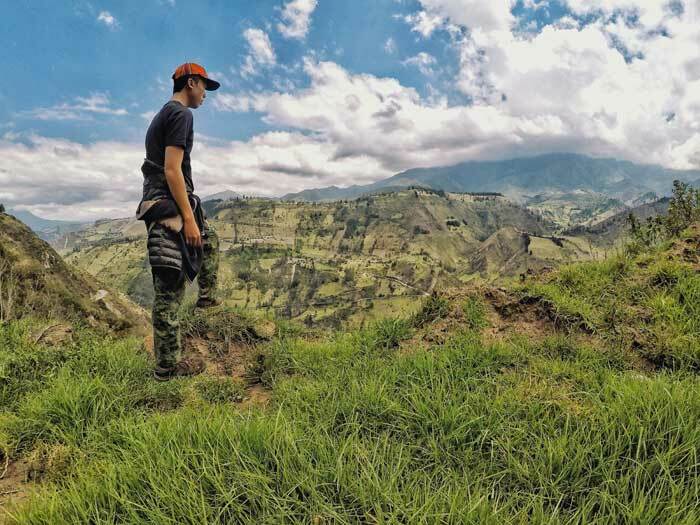 Ecuador is VERY green as compared to the snow-capped mountains of Peru. I came to a house right before a bridge and an old lady that sounded and looked like a witch asked me for a dollar. She obviously did not build that concrete bridge and it was a scam. 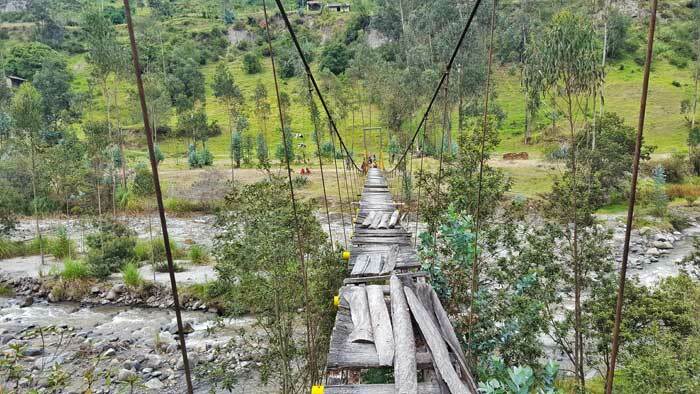 Besides, there are thousands of trekkers each month and she’d have been filthy rich if there really is a fee to use the bridge. But I really wanted to cross that bridge and wasn’t confident to debate in Spanish so I handed her a blackened $1 coin that no one accepted. She asked me why it was black. I crossed the bridge and it was an uphill climb from there all the way to town. And guess what… I got lost again. This time, another old lady (who looked like a witch too) shouted from afar, telling me to turn left. 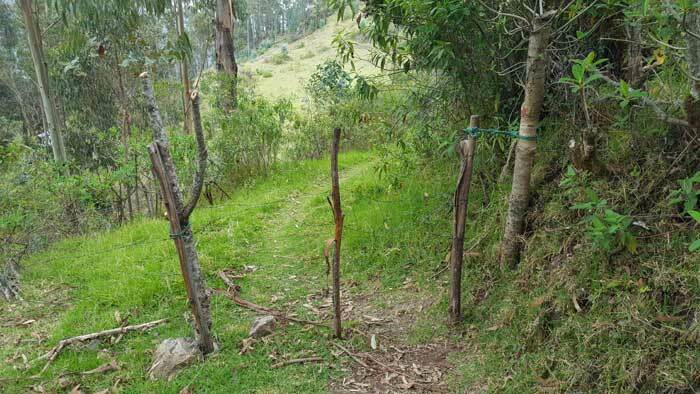 It was off the main path and there was a wooden gate with metal spikes. Why is she telling me to veer off the path? I tried to open the gate but couldn’t. She shouted something unintelligible and RAN across the field to open the gate for me. “Isinlivi,” She pointed at the path. I was so grateful that this old lady ran across a field to help this random Asian fella. I also felt bad that I thought she looked and sounded like a witch. But hey, there are evil witches and there ARE kind witches too. Day one was over after this uphill climb as I stepped into the empty town of Isinlivi. I had a room reserved at Hostal Taita Cristobal. 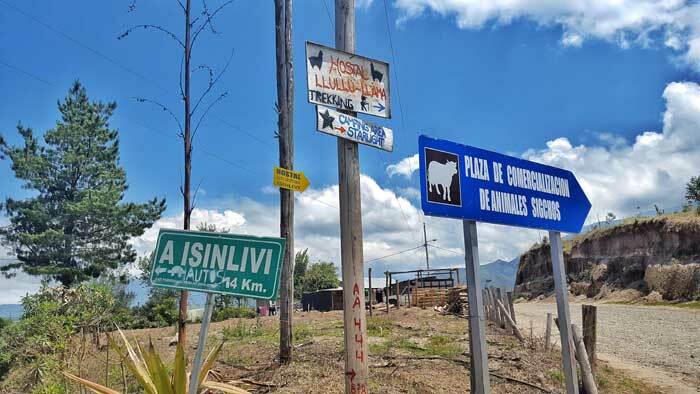 Although the only other hostel in town – Hostal Llullu Llama – was the more popular and better marketed one, Taita Cristobal had wifi which Llullu Llama didn’t. It was a pleasant surprise. Day two started after breakfast when the owner of the hostel told us that there was a new path. In other words, the routes split. 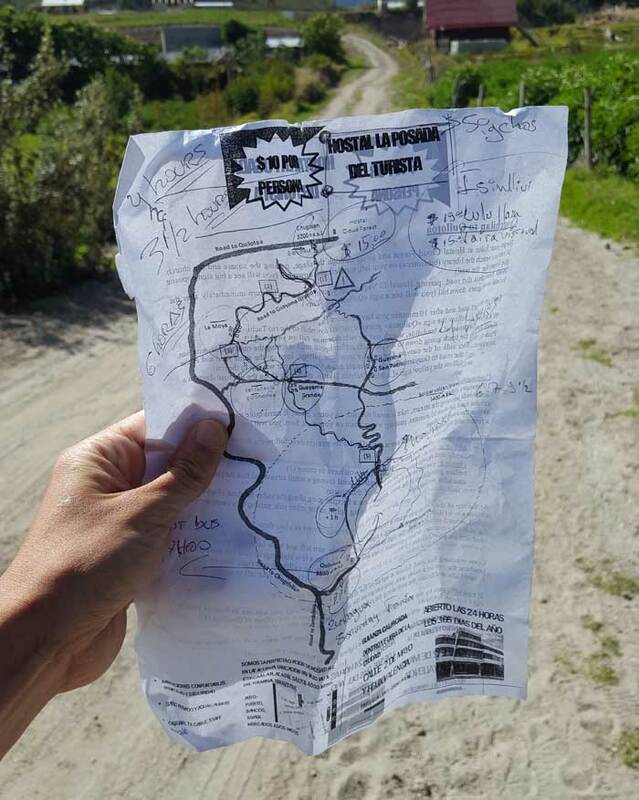 Even though she tried explaining and even gave us a hand-drawn map, verbal instructions were never clear. My new friends and I set off together but it wasn’t long till we walked at different speeds. Soon, I was alone again. I came upon a herd of sheep and for a moment, as I walked alongside them, felt like a shepherd. After crossing a valley to the opposite hills, I walked past another old lady who asked where I was going. She explained that there was a new path, directed me, but I still understood her wrongly. I came to a junction with not two, but THREE different paths. Thankfully, another old lady came together with my ‘groupmates’ and she brought us down the ‘new path’ to Chugchilan. 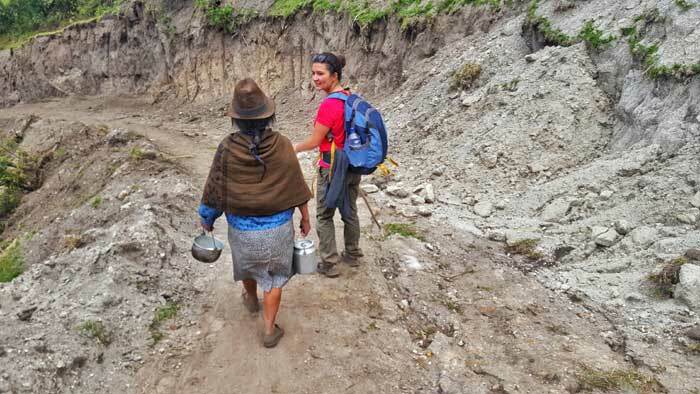 This old lady told us in a mix of Spanish and native language that she had to walk a long way up just to get that kettle of milk she was holding. It reminded me of those stories I hear while growing up, where my ancestors had to walk for kilometres to a well for clean water. It is 2017 now and people still do it here up in the mountains. We walked past her house made of straw and wood and bid her goodbye. We followed the path straight into the property of a grumpy old man who didn’t want us to be there. 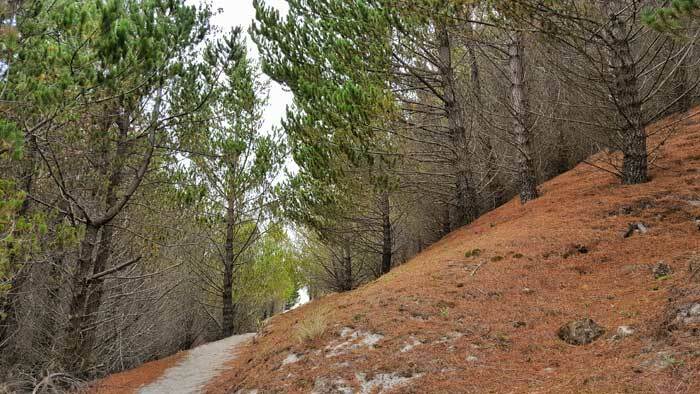 We backtracked and found the narrow trail to the side, down a sandy and steep hill. 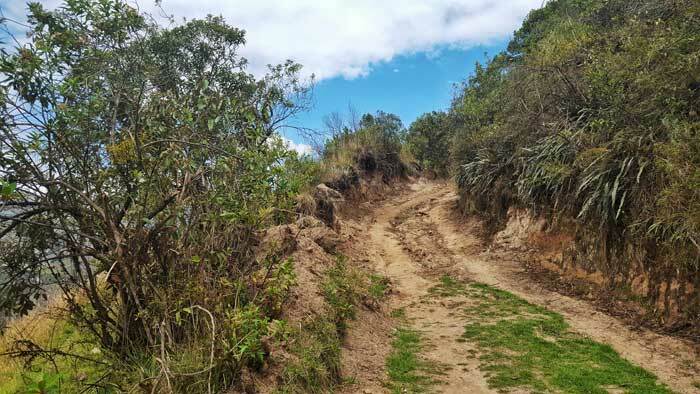 I’ve come to realize that the main path on the Quilotoa Loop is often not the path for trekkers. They are visible and well-beaten because of the locals, and they lead to their houses. We are the trespassers here and they have the right to be fed up. Anyway, at the bottom of the narrow trail was a beaten bridge with ropes so loose and low as handles they were useless. By now, I was alone again. I had a short break at a small town and from there, slogged my way up the only trail up an extremely steep gravel path. Gravity took over. I panted, I crawled, I stopped to catch my breath. The two fit Americans who were ahead of me later told me that as they looked at me from the viewpoint from above, I hardly moved after 5 min. After this gruelling climb up, I was rewarded with a pavilion and a viewpoint of the gorgeous valley. From here, it was another 45 min walk to the next town. Day two was finally over as I stepped into Hostel Cloud Forest – the main hostel in the one-street town of Chugchilan. 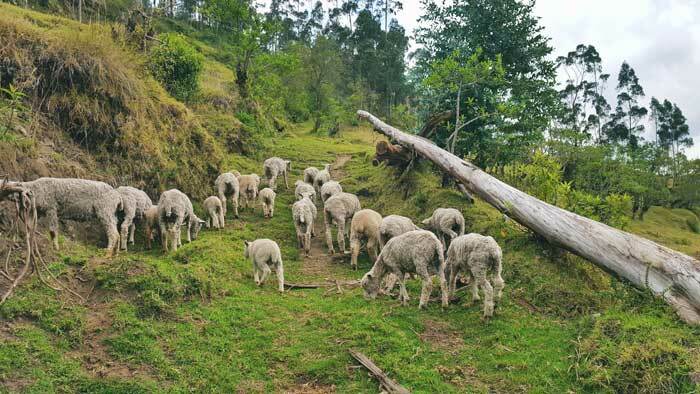 At dinner, there were two distinct groups: those that stayed at Taita Cristobal the previous night, and those at Llullu Llama. However, the one common conversation that we all had was: which route are we gonna take the next day? There were talks of a shorter but way more dangerous route and a longer but safer route. People who did the loop the other way around warned us of the dangerous route. Even online forums were talking about it. We all agreed to take the longer and safer route – except the two Americans, Tim and Ted, of course. Day three was the toughest and longest day. We walked up steep barren uphill slopes – so steep that our ankles bent at an angle that felt like breaking. We walked under the hot and relentless sun, spamming sunscreen lotion and resulting in a disgusting sweat + lotion mixture on our skin. We got lost, separated, and met up again matter of factly, like it was normal to be in the wilds alone. We followed small orange arrows marked on rocks, past a village and got chased by dogs. Little kids harassed us for chocolate treats while adults asked for money. And instead of taking another shorter but unsure route to our destination, we walked the long way to a viewpoint of the valley we just crossed. 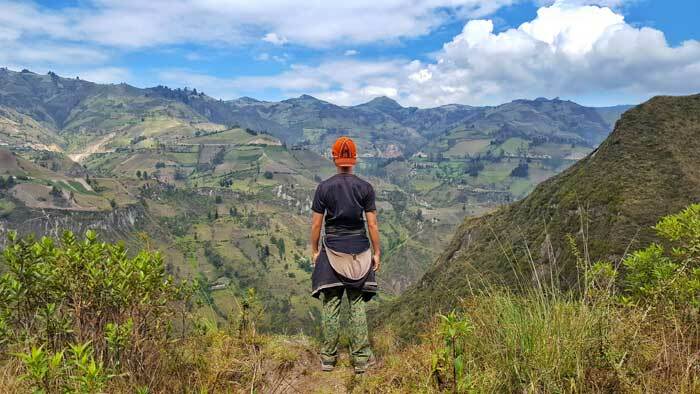 I pushed up my sunglasses and uncontrollably exclaimed, “Wow.” It was the most beautiful view I’ve seen in Ecuador. After 5 hours, we finally reached the top of our trail and lo and behold, right before us was the bright azure-blue crater lake we all came here for: Quilotoa. 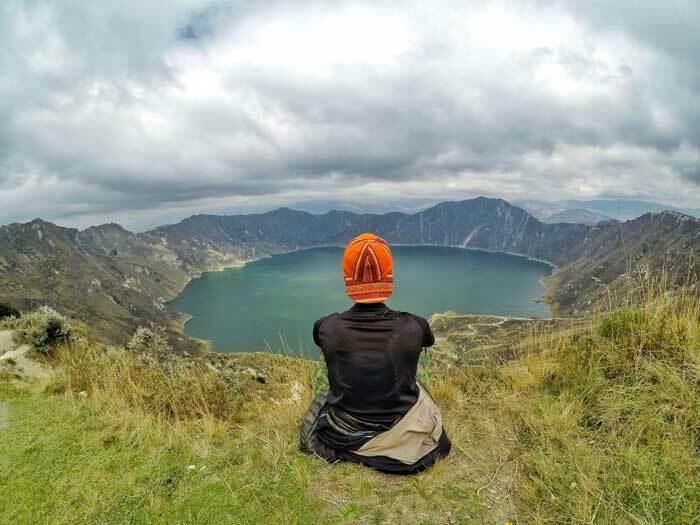 Quilotoa is now an extinct volcano that blew up the top half some 800 years ago, leaving the bottom half that is the popularly-agreed most beautiful crater lake in Ecuador. It was breathtaking to be standing up at 3900m and looking at the Queen’s Tooth (Quilotoa). 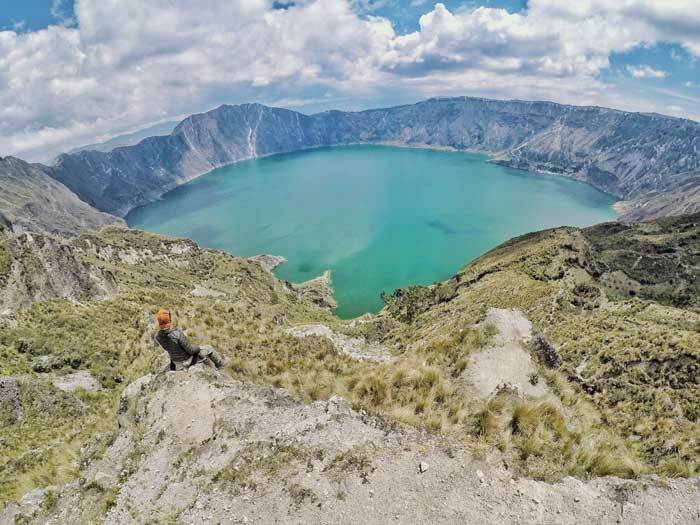 Although the crater lake felt like the reward after 3 days of trekking, it wasn’t the end. 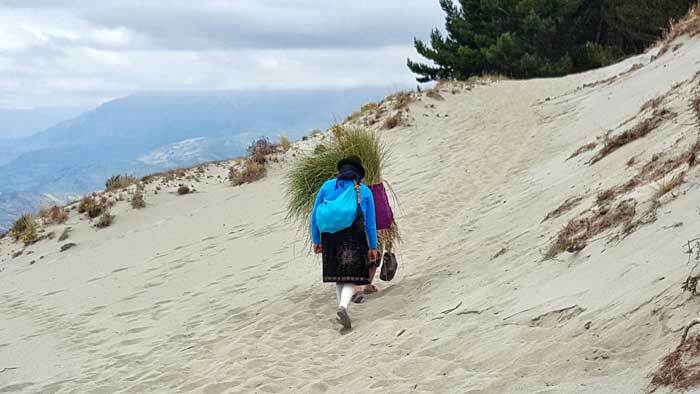 It was at least another hour’s walk along the crater rim to our final destination - the town of Quilotoa. There were three different paths and our group of 7 went all 3 paths. A flatter and easier, but longer way; a steep uphill but shorter climb; and a dangerous path that was supposedly ‘closed’ to trekkers. But no one told Bonnie and Trin who walked that impossibly narrow path along the hillside. They lived to tell the tale. We said goodbye to Emanuelle and Lucie who took the bus back to Latacunga that same afternoon, while the 4 of us stayed for one more night. To me, it was an economical choice: USD $15 for a room, dinner and breakfast? It was cheaper than back in Latacunga! 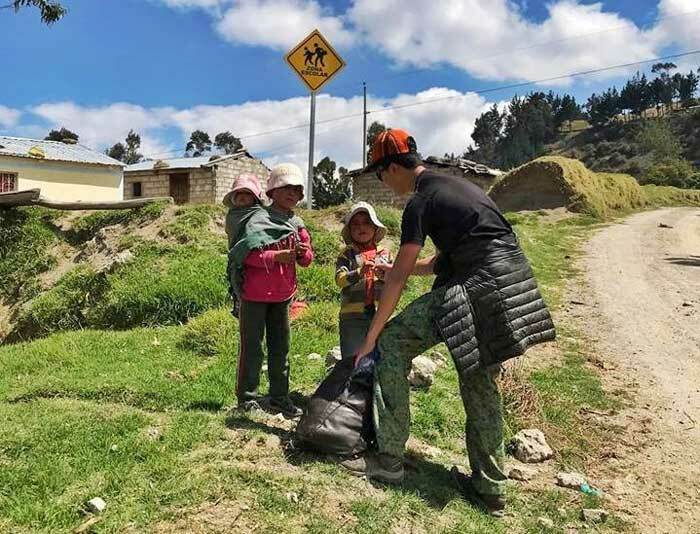 It is possible to trek the Quilotoa Loop the other way, starting with the crater lake on the first day and ending in Sigchos. That’s why it’s a loop. But to many, having the crater lake on the final day acts as a finale and a satisfying reward for 3 days of hard work. That’s why we keep doing treks even though we always feel like giving up. 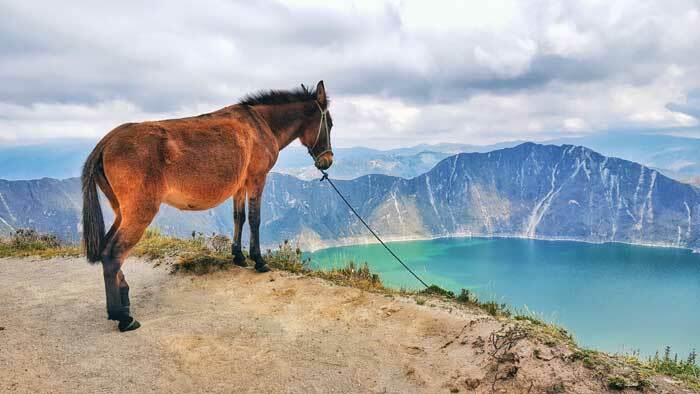 If you don’t have the time, it is also possible to visit the Quilotoa Lake as a day trip from Latacunga or Quito. But, where’s the fun in that? Getting lost and rescued by witches locals are part of the journey. Here are some day tours from Quito. Click on any of these images for more details and availability. Great post! Yes, we lived to tell the tale – thankfully! So glad we met you on this trek. I enjoyed reading your account of it. 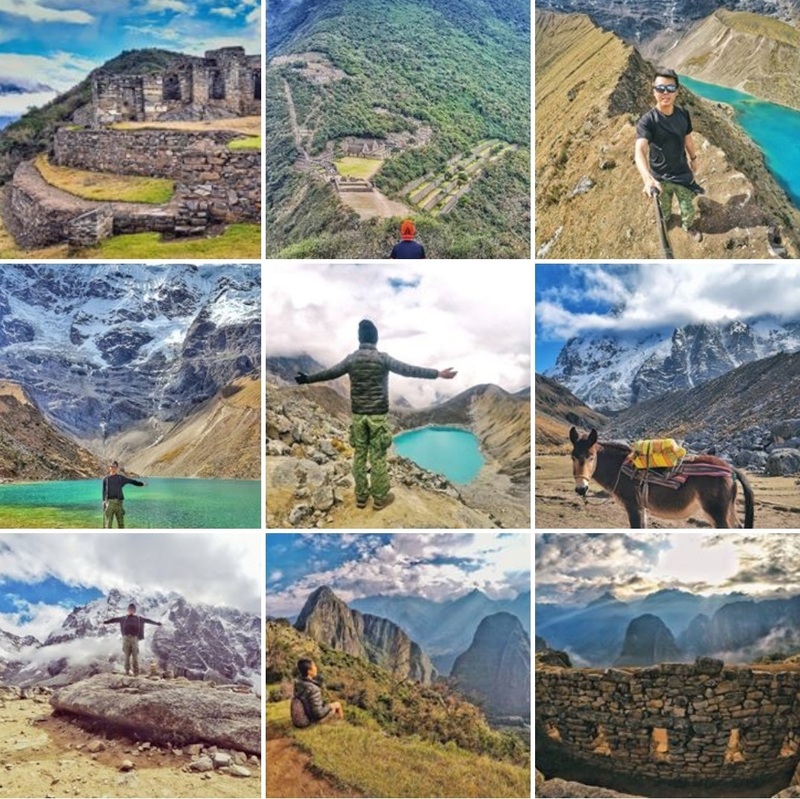 Great post about your quilotoa hike. In August I plan to make the same tour and i am realy afraid that i am getting lost. Do you think it can be dangerous to the life if i get lost? Can you suggest the route to people with afraid of heights? Because you told sometimes from bridges. Are the safe? Do you think its useful to have a gps track of the route? Do you have gps data from the route? The loop is not dangerous even when you are lost. Although it is not very clearly-marked, it is a well-beaten path. In fact, we are ‘lost’ only for the trail, but all around there are locals’ houses and they will gladly point you in the right direction. If you worry, make friends at the hostel and walk together. You don’t have to worry about heights! It is like a normal trek. The bridge is not that dangerous too. Yes I think it is useful to have a gps map with you. I used maps.me and it was very useful. 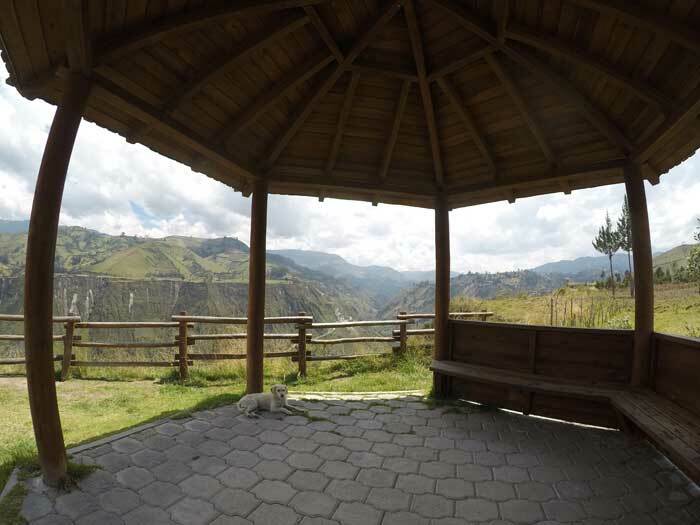 Another popular option for the Quilotoa Loop is Wikiloc. GPS can be used offline so you don’t need data. The trail is fairly safe and I’d say don’t worry and have fun. At the end, when you get to the lake just don’t take the trail that goes inside the crater it is very dangerous and could result in death. Take the trail that goes up or around the outside. All three trails are on Maps.me. The one inside is marked with a skull and cross bone on the opposite side of the trail so you may not see it. Just be mindful of that and you should be just fine. We unfortunately took the inside trail and it was scary but we made it. Just have fun. It is beautiful! !